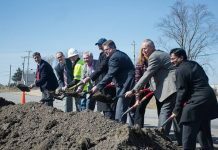 Local officials from Argos and Marshall County broke ground Nov. 7 on the Marshall County Manufacturing project after the Indiana Economic Development Corporation approved Regional Cities Initiative funding for the development. Slated for completion by early 2018, the facility will be built on a 75-acre shovel ready certified park at 151 Dewey St. in Argos. The building will span 50,000 sq. ft. but is expandable up to 300,000 sq. ft. It will be equipped with features that improve productivity such as high-speed fiber internet access. Th2 total project investment amounts to $2.77 million with $400,000 coming from state funding. 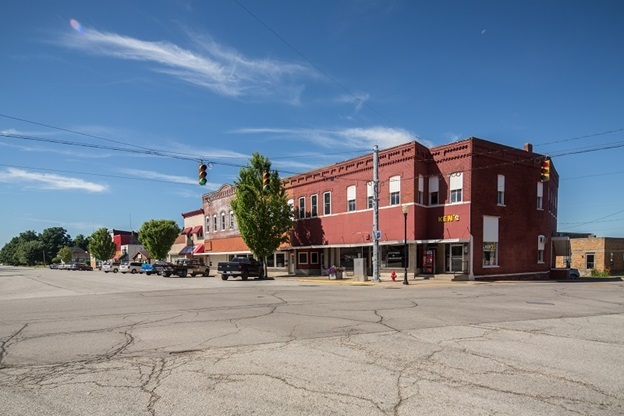 IEDC, together with the Marshall County Economic Development Corporation, developed plans for the project which aims to help the region create more jobs and attract new investors. The project was recommended for Regional Cities Initiative funding by the South Bend-Elkhart Regional Development Authority. It is a part of the region’s Smart Connected Communities plan that includes 39 regional projects in three counties worth a total of $703 million. The Regional Cities Initiative will allocate a total of $126 million to 100 local and private projects that seek to bring top talent to Indiana.